A surge of external forces, new partnerships and a collective outcry to fundamentally change healthcare's status quo aim to force the relatively stagnant healthcare industry to adapt, with a select group of stakeholders looking to lead the charge. For the most part, the healthcare industry hasn't been able to get out of its own way, as it has withstood new competitors and consumer demands that have overhauled transportation, retail, banking and other industries. 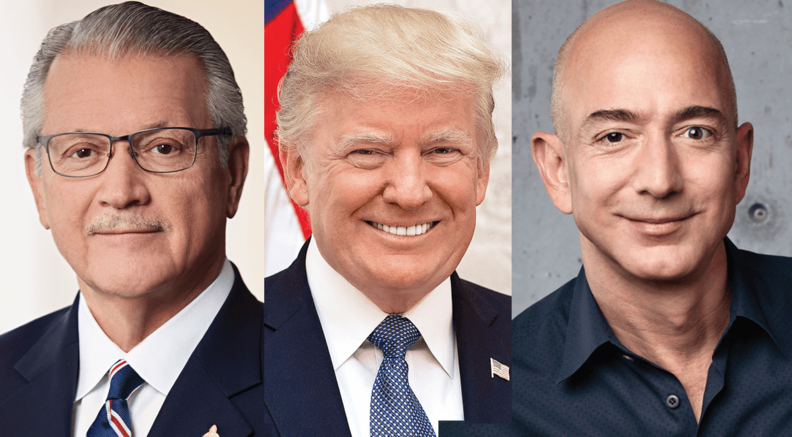 While President Donald Trump tops the list of the 100 Most Influential People in Healthcare for the work he and his administration have done to drastically alter the healthcare landscape, Modern Healthcare also named a dozen executives from health systems, insurers, pharmacy, venture capital and technology companies who aim to take matters into their own hands. Major employers and technology companies are partnering to create new coverage models and democratize health data. Healthcare providers and insurers aim to align to form new delivery pathways. Health systems are stepping into new roles to mitigate high drug prices and meet consumers' growing demands for convenience and transparency. Yet, these larger organizations have the resources and capital to invest in new technology, staff training and outreach programs that have begun to transform the industry at the uppermost levels. Implementing industry-wide change as providers straddle conflicting payment models is a difficult feat. It helps when incentives align to lower the cost of care in integrated delivery systems like Geisinger Health, said the Danville, Pa.-based health system's CEO, Dr. David Feinberg. And that holds true for the C-suite as well, though the healthcare system has proved resistant to change. Bonuses for executives need to be tied to improvements to the health and well-being of their surrounding communities rather than bigger market shares, Klasko said. “It's hard to get someone to change when their salary doesn't depend on it,” he said. Geisinger is trying to change that by providing fresh-food pharmacies in food deserts, which have improved diets and significantly decreased blood sugar levels. It provides free transportation for medical care as well as trips to friend's houses, church and other social events within 50 miles to combat loneliness. The integrated health system is making genomic testing part of the routine to catch diseases earlier. They are eliminating waiting rooms, reimbursing unsatisfied patients' co-pays, providing same-day appointments for nearly half of its primary-care visits, and offering free follow-up care for joint replacements. While many providers are moving patients as quickly as possible through the system, Geisinger has set minimum time restrictions for care. Its doctors must spend at least 40 minutes with elderly patients. That has reduced productivity and raised costs, but patients and physicians are happier and emergency room visits are down, Feinberg said. Industry players are stepping increasingly into nontraditional roles. Intermountain Healthcare, Ascension, SSM Health and Trinity Health are working with the U.S. Veterans Affairs Department to pool their capital with 450 hospitals to create a generic-drug company. The move is a shot across the bow of drug companies that hike the prices of decades-old off-patent generic drugs with minimal competition. They also look to create a more reliable supply of generic drugs and supplies like saline solution and sodium bicarbonate that are vulnerable to shortages. More than 100 other hospitals or systems have contacted Intermountain about partnering with the generic-drug company. “We think the future of healthcare is focused on partnerships and collaboration,” said Dr. Rod Hochman, CEO of Providence St. Joseph Health and one of the 12 disrupters. The Renton, Wash.-based system is also implementing new end-of-life care initiatives aimed at helping facilitate these conversations and clarifying realistic outcomes prior to potentially burdensome treatments. It's also building a diverse C-suite. Similar to other integrated providers, Providence St. Joseph is taking on more risk through bundled payments and other alternative value-based payment models. But industrywide, that progress has been slow given that the majority of providers still get paid based on the services they provide. Toward that end, Kaiser Permanente has invested in gun violence research, mental health services and housing for the homeless. The Oakland, Calif.-based integrated delivery system sends out mobile healthcare vans to underserved neighborhoods. It also delivers a significant portion of its care through virtual visits. Consumers are expected to change the cost paradigm by becoming better shoppers, although that hasn't happened yet. Apple, led by Tim Cook, is partnering with more than a dozen prominent health systems that would give patients access to their health data on their iPhones, which would allow them to better understand what type of care they need. Google and Fitbit are also partnering to bring patient-generated data and clinical data together in electronic health records. Google's parent Alphabet hired former Cleveland Clinic CEO Dr. Toby Cosgrove as executive adviser to the Google Cloud healthcare and life sciences team, which is working on allowing patients and providers to pull healthcare data from various sources and analyze those data in the cloud. Amazon, Google, IBM, Microsoft, Oracle and Salesforce also recently pledged to mend the fractured health-data sharing framework. Jefferson Health is teaching its students to better care for high-cost patients by leveraging data to provide more wrap-around, coordinated care. One Medicaid beneficiary went to a Jefferson emergency room 16 times over a short span, partly because he didn't know how to change his colostomy bag. Now, he has avoided the ER for more than a year because he can reach out to students any time through texts and video conferences, Klasko said. Jefferson, Main Line Health and other providers in the Delaware Valley Accountable Care Association recently put out a request for a proposal for a strategically aligned payer that will share data and risk. It got seven responses, Klasko said. St. Louis-based Ascension has been developing its ancillary businesses related to group purchasing, leadership development, automation, venture capital and other segments that it hopes other systems will use. “Nothing we do should be proprietary if it can raise the quality of care,” said Ascension CEO Anthony Tersigni, one of the 12 disrupters. While many providers are offering price-estimation tools, using new ways to reach consumers and making care more accessible, these changes don't get to the core of why healthcare services cost so much to begin with. There are administrative costs built into nearly every transaction, and competing priorities ultimately slow meaningful change. Reducing the cost of care requires providers and other healthcare organizations to closely analyze what long-standing processes can change, and then executing. Consumers will demand it, Feinberg said. “We have to disrupt ourselves,” he said. Related: "Trump proves to be the disrupter in chief"